The first thing you gotta have when backpacking is, of course, your backpack. 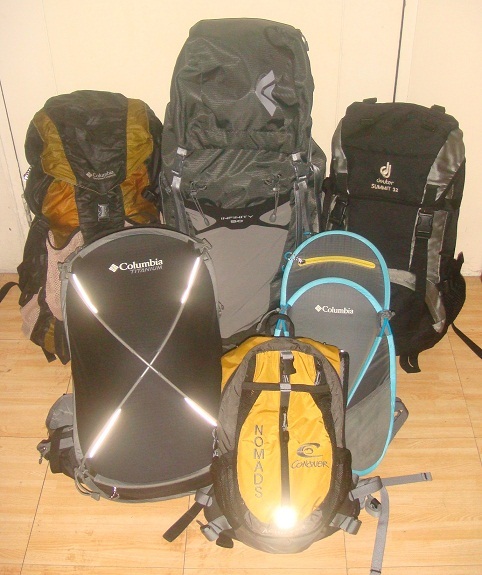 You can bring any backpack or any pack that you want as long as it can carry the stuff that you need. You may use your Dickies or Jansport packs but for optimum performance you need certain features that may not be present in school bags. If you’re thinking of bringing a tent, a cookset, and a stove, you may put away those ‘turtle-y’ Jansport and Dickies packs. They won’t leave any more room for your other stuff. If you’re expecting to carry heavy loads, you’ll need padded straps to cushion the strain on your shoulders. Needless to say, the type of pack that you’ll need depends on the type of activity you’re embarking on. Such is the reason why I have collected five backpacks. I have been stalling writing for quite a while but I gotta write about this. After all, this has been my best performance as a runner. Oops! I can’t believe I just called myself a runner. I mean, I’ve just had three legit runs so far. I must be in such a hurry to shed that label ‘mountaineer’ off my skin, mustn’t I? I mean, with all the issues plaguing the cyber mountaineering community of the country, who would want to be identified with mountaineers? 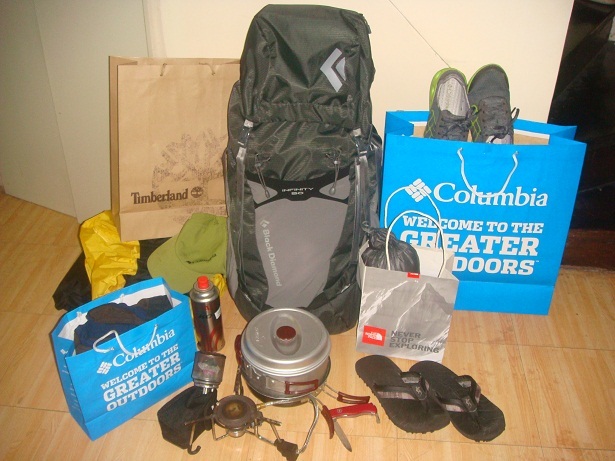 This time around, you say one thing about a mountaineering event; it’s an instant hot potato. You drop a line about a climber’s death; you’re on the hot seat. You accidentally drop a wrapper of Choc-nut on the trail; you’re the headline of The Climbers’ Daily. To hell with all these fuss in this chaotic hiking community where everybody is ‘great’! Let’s just run! 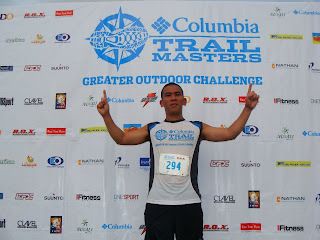 Last Sunday (October 16), I took part in the Columbia Trailmasters 10K fun run. 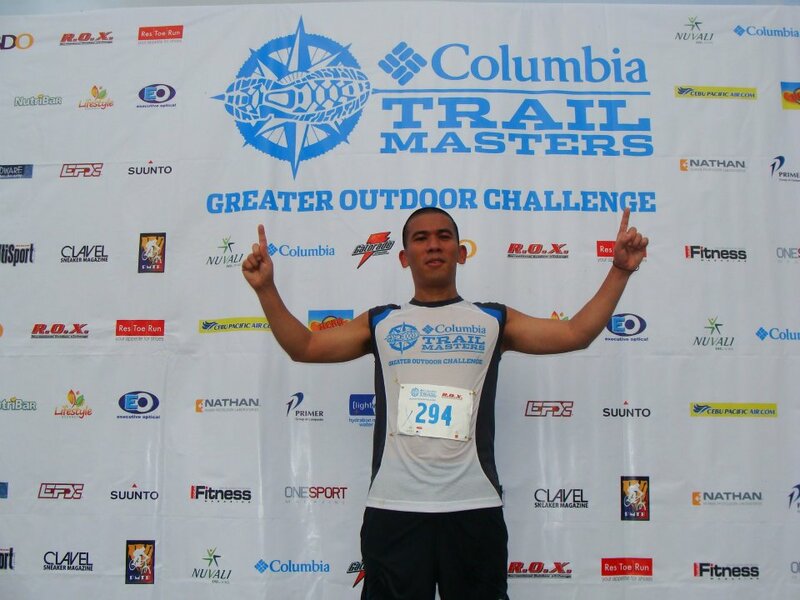 The trail run was set on the gently rolling terrain of Nuvali in Sta Rosa, Laguna. There were four categories in the event: the Elite Men’s 60K, Open Mixed 40K, the Open Men’s 40K and the 10K fun run. The course involved runs on concrete, mud, stream and a little obstacle course. More than 300 individuals took part in the 10K event. And I finished 22nd (19th among all males) or I outran 94% of the runners in my category. 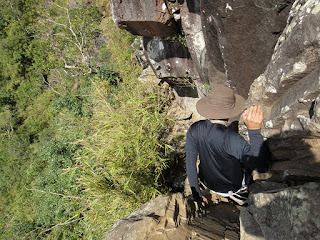 I’m writing this in retrospect of how I used to dream of climbing Mt Pico de Loro. The idea of climbing the monolith had always been a formidable challenge for me as an adventure-seeker. And conquering the monolith would always give the climber some sense of pride! Moreover, traversing the mountain from Ternate to Nasugbu offers an icing on the cake to your journey—the uninhabited Cutad Cove. This cove used to be accessible to climbers but now SMDC has closed it to non-residents of Pico de Loro residential resorts. 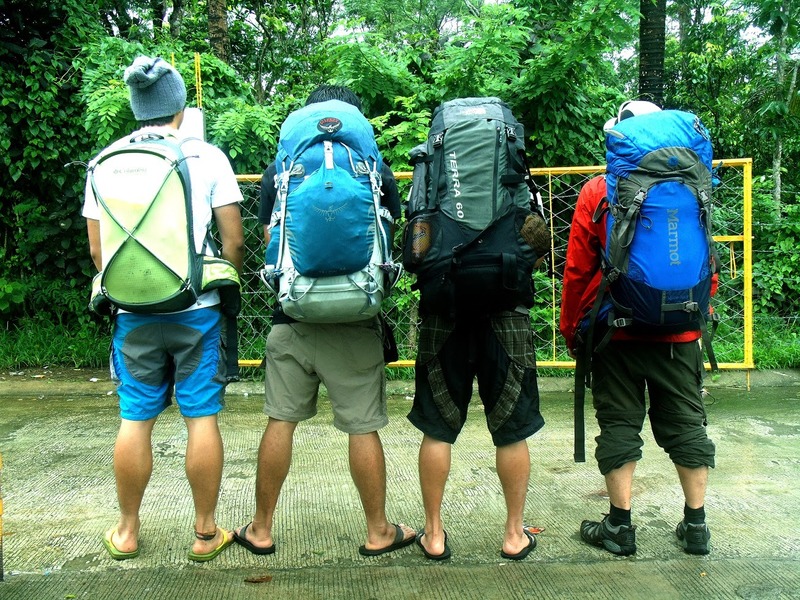 That was back in the pre-Facebook age of Philippine mountaineering. With the advent of mass climbs fueled by social networking sites, Mt Pico de Loro has lost its claim to grace and glory. 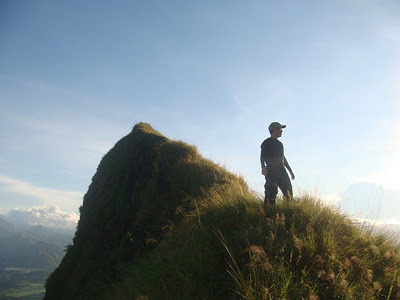 Rising at 2246 feet above sea level, Pico de Loro is a dominant peak in the Palay-Palay/Mataas na Gulod National Park which also houses the boulders of Mt Marami. This mountain is conveniently accessible via the Caylabne Road which passes through a magnetic hill. On the Nasugbu side, the new road in Brgy Papaya is a convenient exit point. The trail is 90% shady on both sides. Rain forest trees cover most part of the Ternate side and on the Nasugbu side, more rainforest trees and bamboo abound. About 2 kilometers away from Kuya Rene Medina’s residence, a short turn-off to the left will lead you to a waterfall. This waterfall is no stronger than the trickle of a baby’s pee during dry months. But on a rainy day, the waterfall prides itself on its multi-stranded curtain of cascading water. The summit affords a panoramic view of the Nasugbu coasts and islets. You can also see its neighboring peaks such as Batulao, Marami and Talamitam. But the best part of a Pico de Loro climb is the imposing monolith facing the summit. Viewed from Brgy. Papaya in Nasugbu, the peak-and-monolith tandem makes a perfect image of a parrot’s beak from which the name of the peak is derived. This part of the Palay-Palay / Mataas na Gulod National Park hasn’t suffered considerable degradation since its state in 2006. But the campsite is all but a mini-Payatas on top of a mountain. 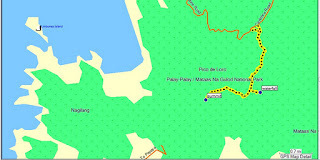 Back in 2006, it was not easy to get information on Pico de Loro and most first climbs there were ‘sabit’ climbs. You’d have to know someone who had been there for you to climb Mt Pico de Loro (and almost all other mountains). There’s plenty of information now on the internet and mass climbs have made people believe that climbing a mountain is not that tough. Everyone now says “Fat Joe and Weak Willy made it alone! Why can’t I?” And so now, every weekend at least one hundred climbers throng the mountain with hopes of climbing the monolith and in jubilation thereafter, leave the mountain wounded and spoiled. On the Ternate side, the canopy of bamboo where you’d have to crawl under is now gone. The thick bamboo forest which used to be able to accommodate only up to six tents is now no different from a school playground. And some parts of it stink of human crap. There’s just too many climbers to accommodate every weekend that’s why the campsite had to be extended. The bamboo forest in the Nasugbu side is also facing the threat of extinction. There are now three trails crisscrossing the bald slope of the peak. And these trails are terraced with steps—an indication that there’s been a considerable increase in the number of climbers in the mountain in the last two years. From 2006 to 2009, there was only a single trail of rolling pebbles on the slope to the summit. But on the brighter side, more and more clean-up climbs are now done in this particular mountain which somehow counteracts the irresponsibility of some climbers. Thanks to these efforts, the mountain is kept relatively clean. Well, at least for three weekends (at the most) after the clean-up climb. After three weeks, the mountain is full of trash again. I am currently conducting a research on mountaineering-related casualties in the Philippines and I had a quick interview with Kuya Rene who has lived in the mountain for more than twenty years. He recounts a few mishaps (in the last five years) in the mountain including one death due to cardiac arrest. A woman was reported to have fallen down the monolith but was luckily saved by the thick vegetation at the shoulder of the base of the monolith. Another climber suffered a head injury after diving off the waterfall but was promptly picked up by a rescue chopper at the grassland near the waterfall. These pieces of information are not complete and may not be very reliable as they are just the version of one man. As much as they are excited to share interesting and intriguing stories about the mountain, Kuya Rene and his wife are a bit reluctant to share information related to casualties fearing that this might scare some climbers and eventually lead to decrease in ‘revenues’ from registration fees. One thing’s for sure—mountains kill! I will go back there to further collate data and information. If you know names, figures and dates concerning to mountaineering-related casualties and mishaps please send them in at lagataw@gmail.com. Alight at a right turn from the highway in Maragondon. There should be a line of tricycles where you’ll get off. There is a big grocery store nearby. Take the tricycle to ‘Magnetic’. P200/(max 3pax) is the reasonable fee. P75/pax should be the maximum rate (as of research time). Don’t pay more than this. It will just raise the standard price. Take note that a longer and steeper tricycle ride in the Nasugbu side only costs P200. The Ternate tricycle drivers have met many weekend warriors who are willing to pay more than P200 that’s why the standard price constantly rises. Very soon, they will charge P100/head and give you this lame ‘Yun kasi ang kalakaran dito.’ kind of justification if you try to reason with them. Fork area. Take the right. There are helpful markers here. Rene Medina’s place. Water source. Register P20/pax. This registration area may not be duly accredited by the local authorities but consider your fee as a donation to the family who has actively helped in keeping the mountain clean. Fork area. Left to waterfall. Right to summit. Waterfall. Lunch. Backtrack to the fork. Tricky boulders part. Many climbers lose their way here. The continuation of the trail should be downward and to the right. After 50 meters of descent, it’s a rolling terrain and bamboo starts to appear. You may hear voices from the campsite when you’re near. Summit. Climb the boulder (risky and optional). Rene Medina’s place. Wash up. You can also opt to do your wash-up at the DENR. Traditional exit point. There is a line of tricycles until around 7pm or according to the number of climbers coming down late. They charge P75/head or P200/3pax. ‘Kolorum’ tricycle drivers are willing to go down to P150/3pax. Bus terminal (Maragondon). Buses here are bound for Lawton/Buendia (P70-P80). Expect heavy traffic. This side of Cavite has one of the poorest traffic management systems in country. Alight at a left turn from the highway in Maragondon. There should be a line of tricycles where you’ll get off. There is a big grocery store nearby. Take the tricycle to ‘Magnetic’. P200/(max 3pax) is the reasonable fee. P75/pax should be the maximum rate (as of research time). Don’t pay more than this. Waterfall. Lunch. Backtrack to the fork. Head for the summit. Three-pronged fork. The rightmost trail probably leads to the firing range. The middle is probably the shortest. I have no idea about the leftmost trail. I always take the middle trail which is the relatively straight continuation of the trail. This leads to the new road leading to Brgy Papaya. ETA. Paved road. Take the descending slope to the left. Some locals and military personnel may be driving by in motorcycles. They will notify some drivers in Brgy Papaya of your presence. Most will offer you bad deals. The cheapest deal I’ve made was with a tricycle driver (Jayjay 09287314373). He charged 6 of us P50 each. His powerful tricycle carried all six us and him up the steep slopes of the highway all the way to Nasugbu. The tricycle/jeepney waiting shed is at a turnoff to the right from the main road. This is about three kilometers away from where you first set foot on the paved road. Take the tricycle to ‘Magnetic’. P200/(max 3pax) is the reasonable fee. P75/pax should be the maximum rate (as of research time). Tricky boulders part. Many climbers lose their way here. The continuation of the trail should be downward and to the right. After 20 meters of descent, it’s a rolling terrain and bamboo starts to appear. You may hear voices from the campsite when you’re near. Campsite. Take photos. Pitch tents. There’s a weak water source at the cliff campsite. But this could be dry during the summer. Assault to summit. Take photos. Climb the monolith (risky and optional). Bring headlamps just in case. Back at the campsite. Prepare Dinner. Socials. Respect the peace of your neighbors. Assault to summit. Take photos. Climb the monolith (risky and optional). Assess the descent according to the capability of the members to trek down the dangerous trail. Bring headlamps just in case. Breakfast. Break camp. Refill water bottles. Assault to summit with packs. Three-pronged fork. I always take the middle trail which is the relatively straight continuation of the trail. This leads to the new road in Brgy Papaya. ETA. Paved road. Arrange for a jeepney/tricycle ride to Layag-Layag. You may have to take the boat. For more information, you may ask Outdoor Addicts who are very familiar with Mt Pico de Loro and its side trips. Jannie Negrido has also organized a similar trip. Take the same arranged transportation to Nasugbu, Batangas.